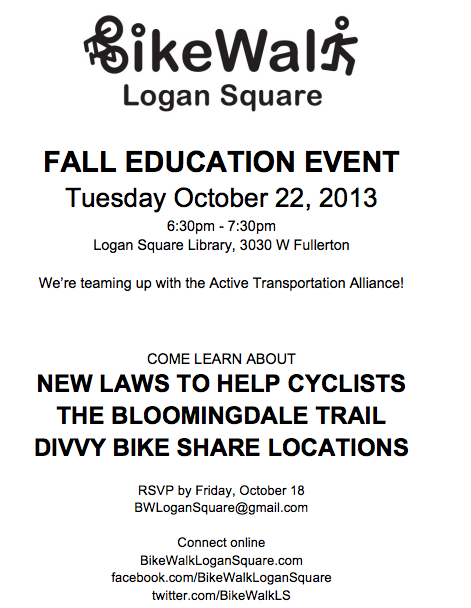 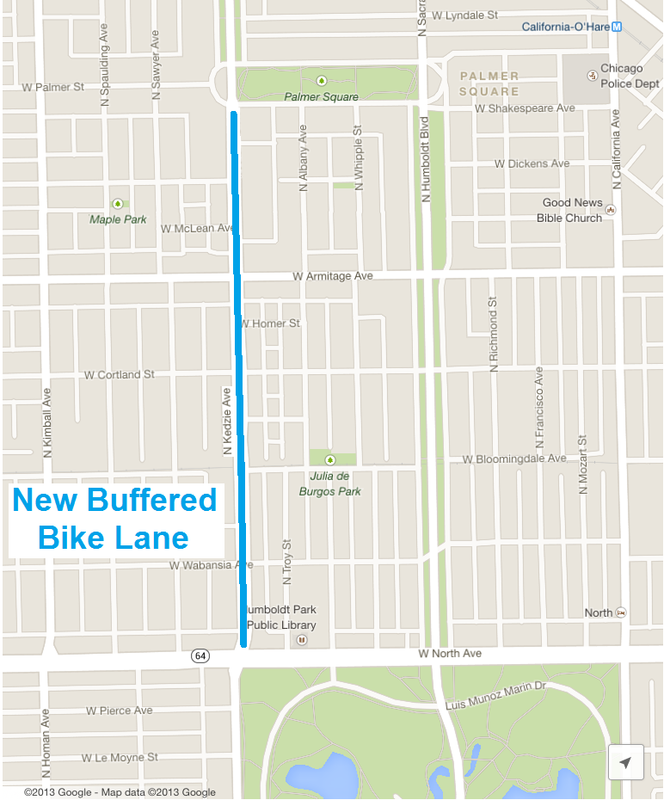 We, the members of Bike Walk Logan Square and Bike Walk Lincoln Park, wish to impart to you our support for the improvement of bicycle infrastructure on Elston Ave, north of North Ave. A number of business leaders in the Elston Corridor Planned Manufacturing District have opposed the installation of any type of bike lanes. 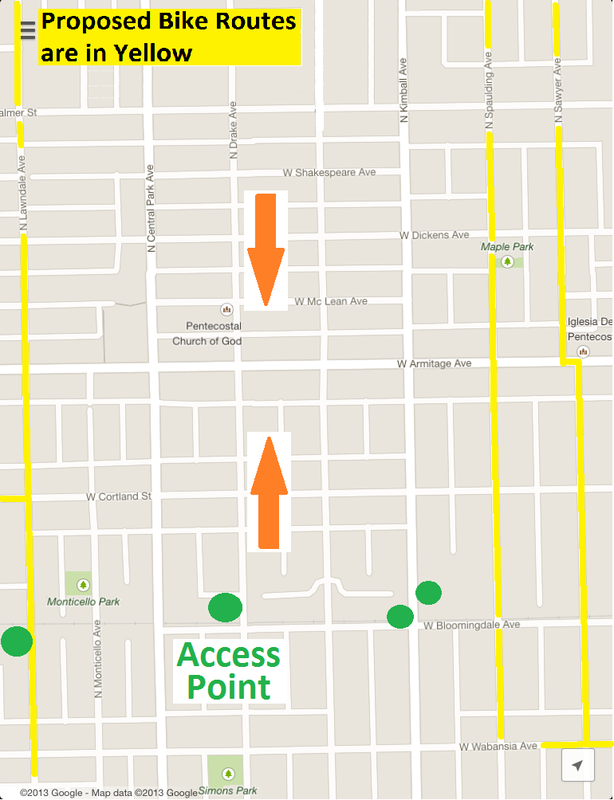 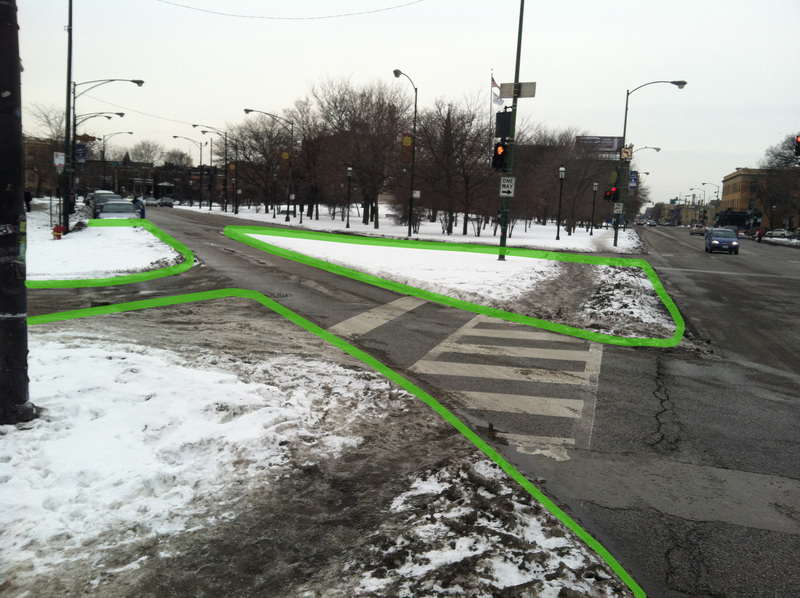 Our evaluation of the surrounding bike network clearly indicates that Elston must become a prioritized bike route. 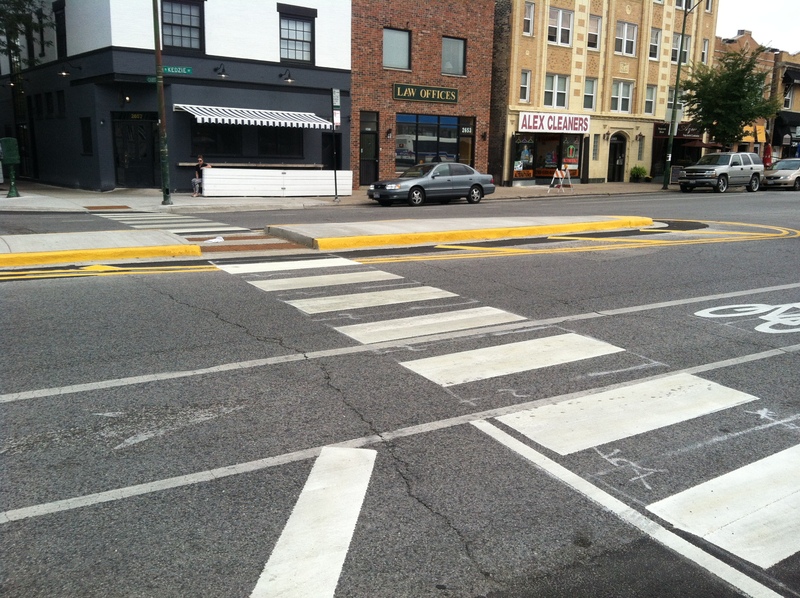 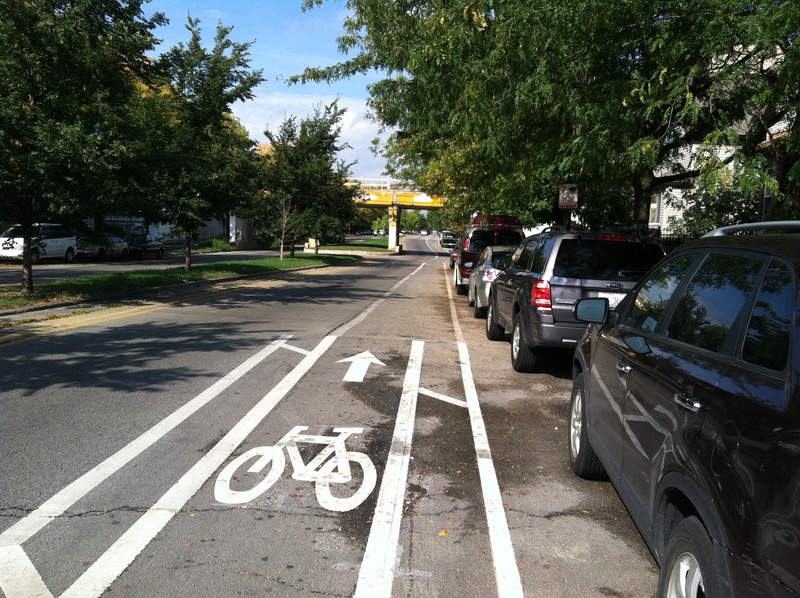 Elston is a very direct route to and from downtown, and there are currently traditional bike lanes striped along the entire length of Elston. 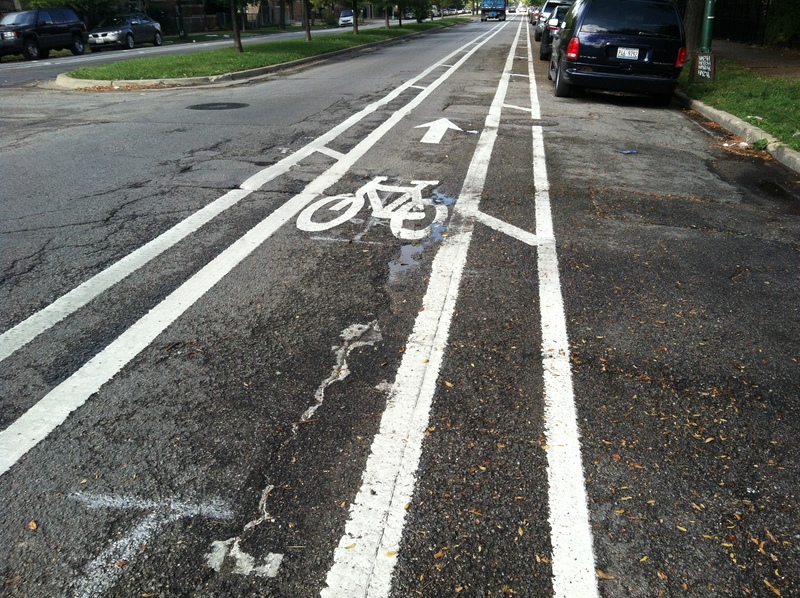 As such, many cyclists consider it one of their safest and fastest options. 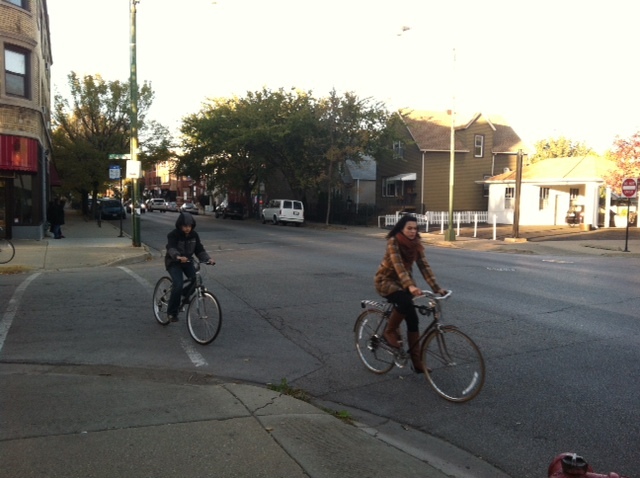 A large number of cyclists use Elston on a daily basis. 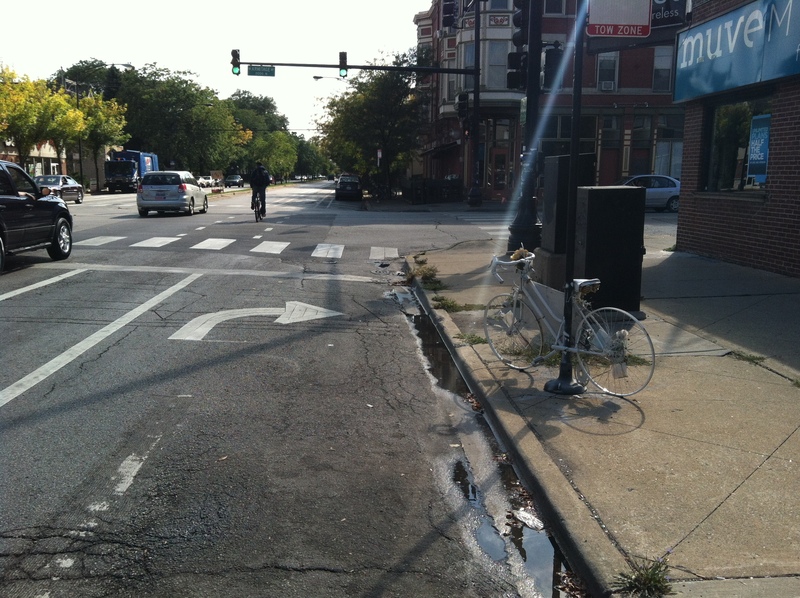 Any effort to downgrade the level of safety for cyclists on Elston would be not only egregiously neglectful of cyclists’ safety. 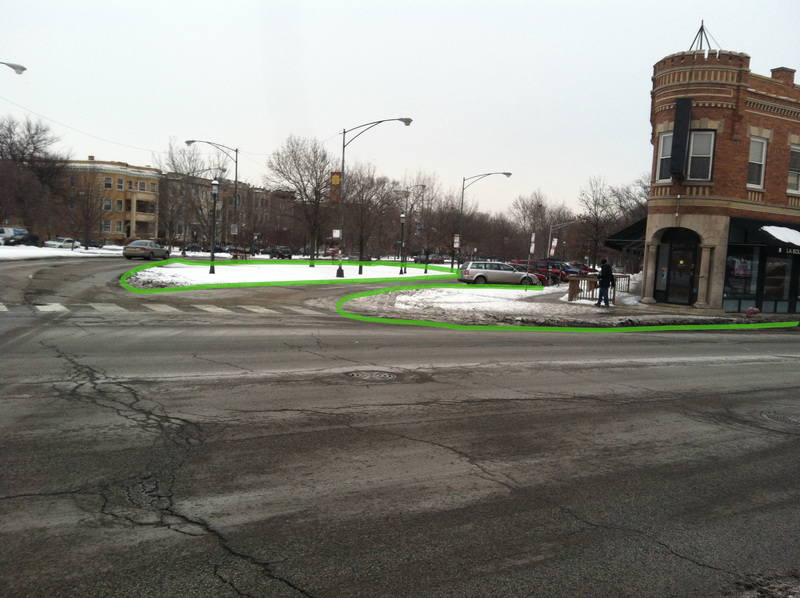 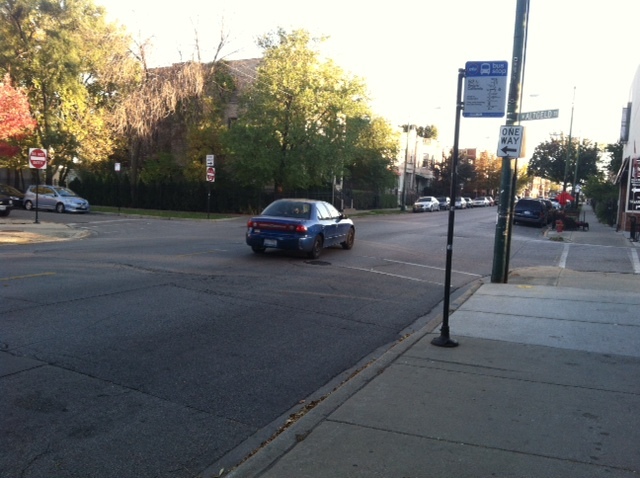 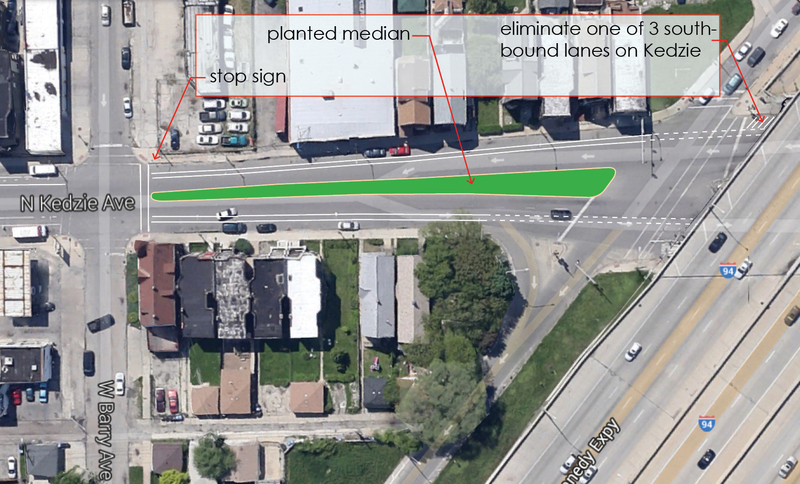 It would also be ineffective at significantly deterring cyclists from riding on Elston. 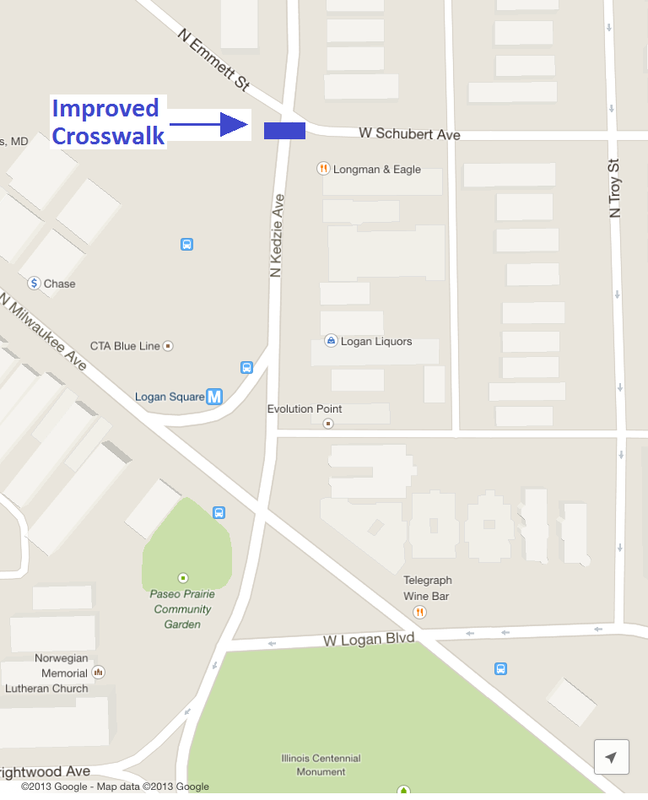 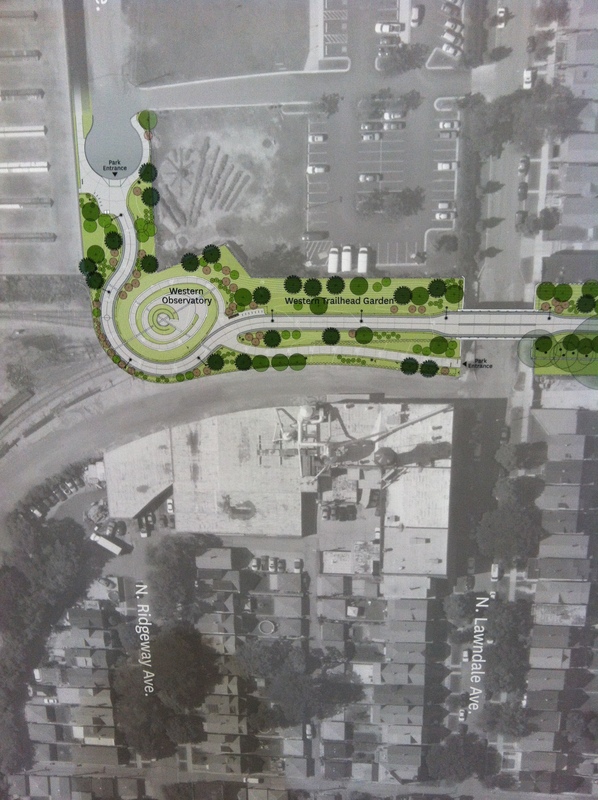 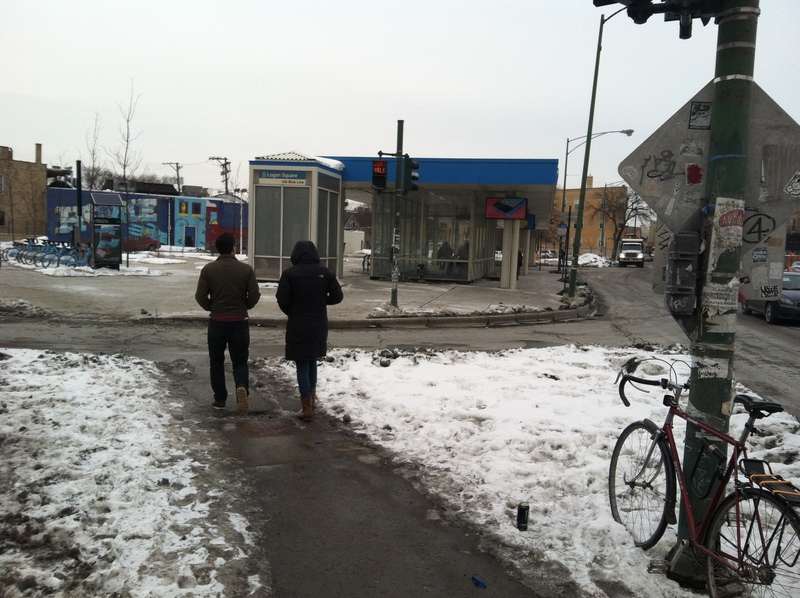 Milwaukee Ave, which has been proposed as an alternative route, would be an insufficient replacement. 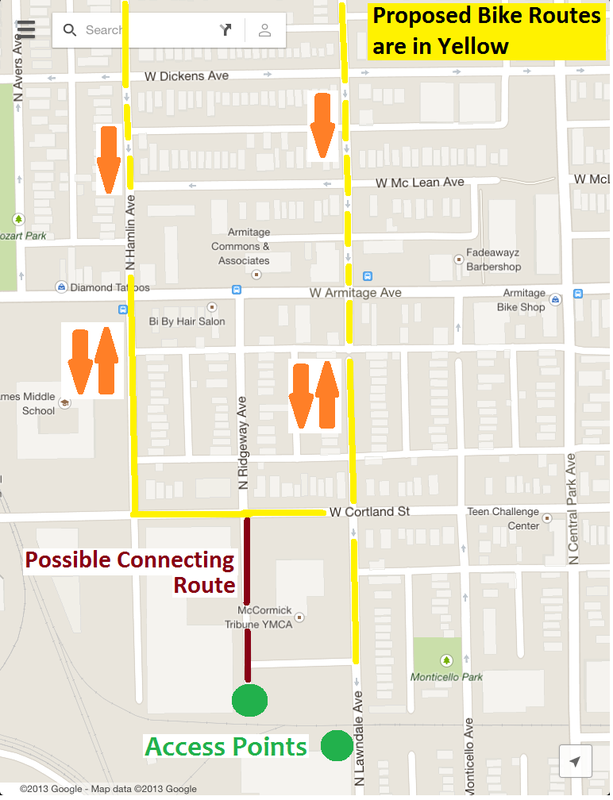 Elston and Milwaukee are separated by about a mile for most of their length, which is much too large a detour for cyclists. 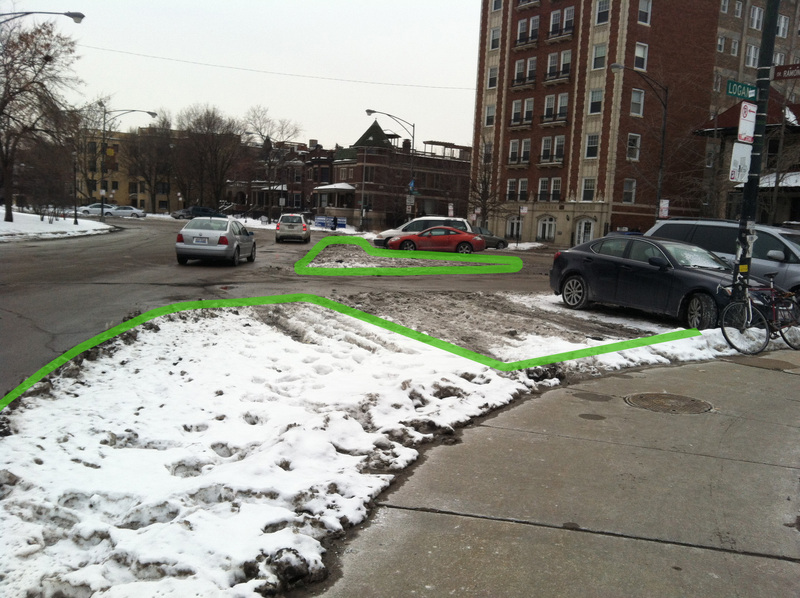 The Kennedy Expressway presents another issue. 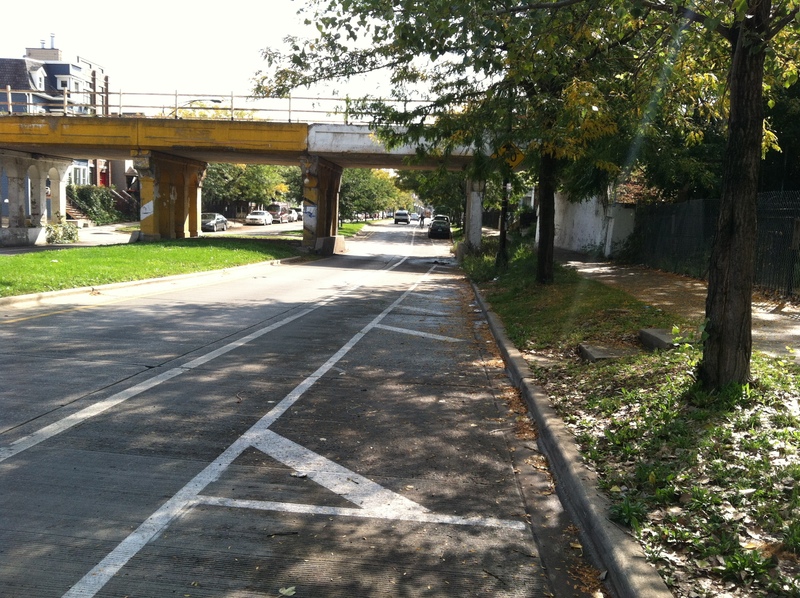 It divides the two bike routes, and there is a shortage of safe bikeways underneath the Kennedy. 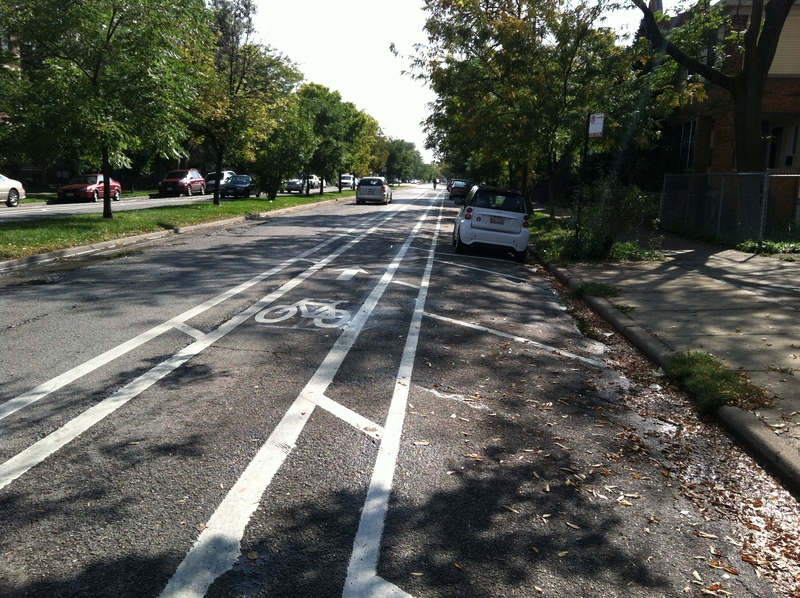 Thirdly, Milwaukee Ave is much narrower than Elston; for much of its length, there is insufficient space for any safer infrastructure than the inadequate shared bike lanes in place currently. 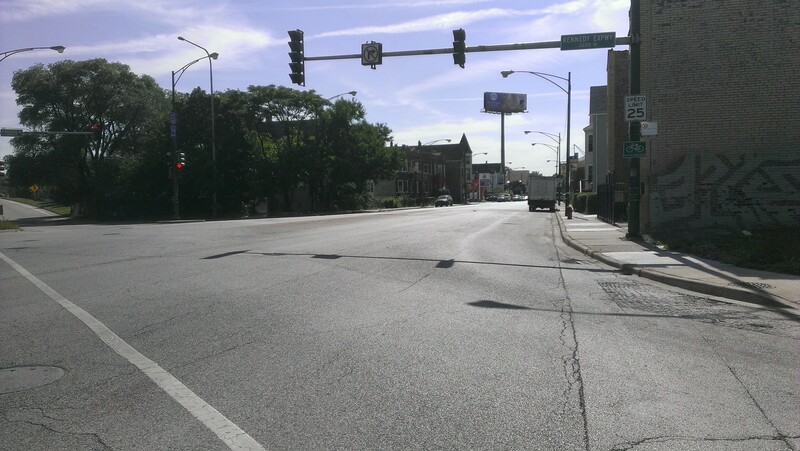 Elston, in contrast, has more width. 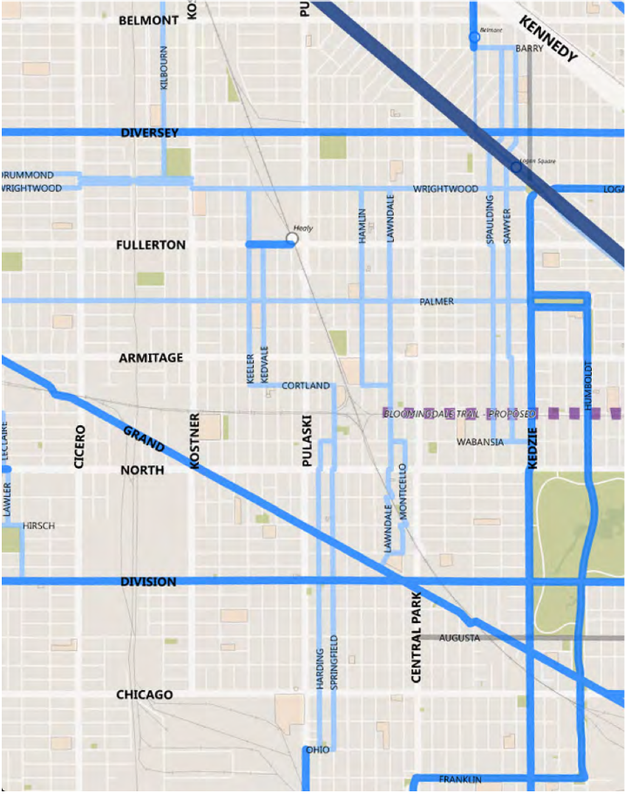 Another alternative to the Elston bike route has been proposed to the east, but it has similar problems; It is too indirect, it is too far from other bike routes, and it would be difficult to access from the west because of a lack of safe bike routes over the river. 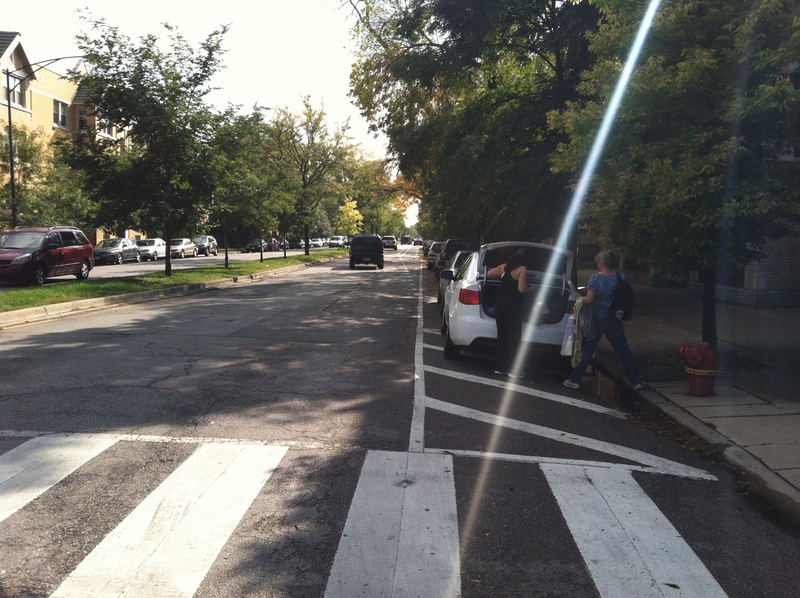 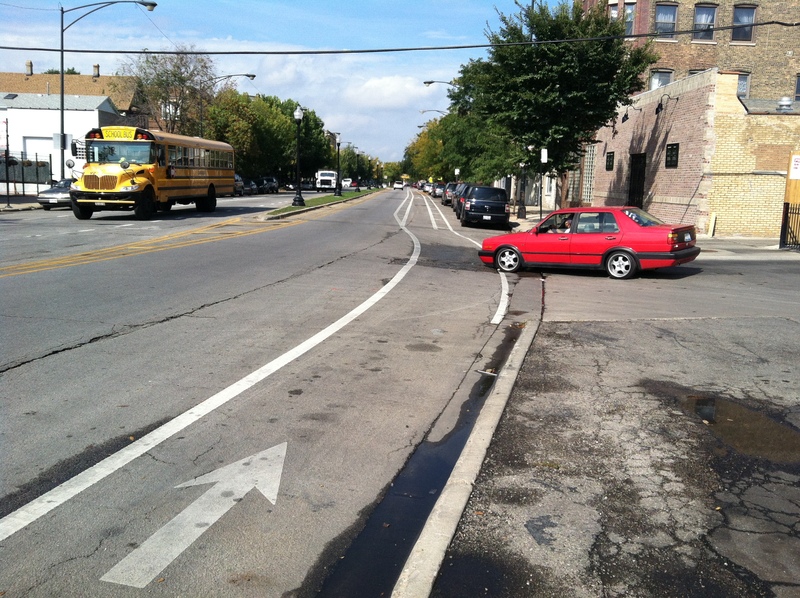 We believe the safest bike infrastructure currently in place in Chicago is the barrier protected lane, which relies on a row of parked cars to protect cyclists from moving vehicles, and we believe barrier protected lanes are appropriate and necessary for bicyclists on this part of Elston. 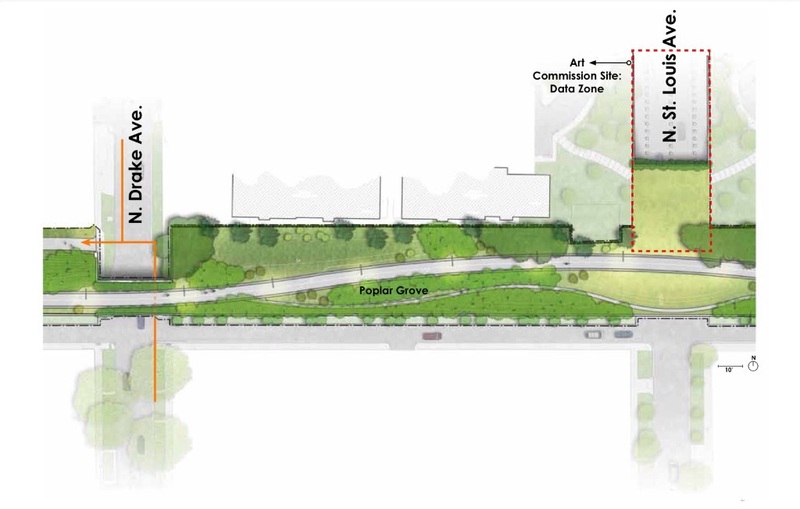 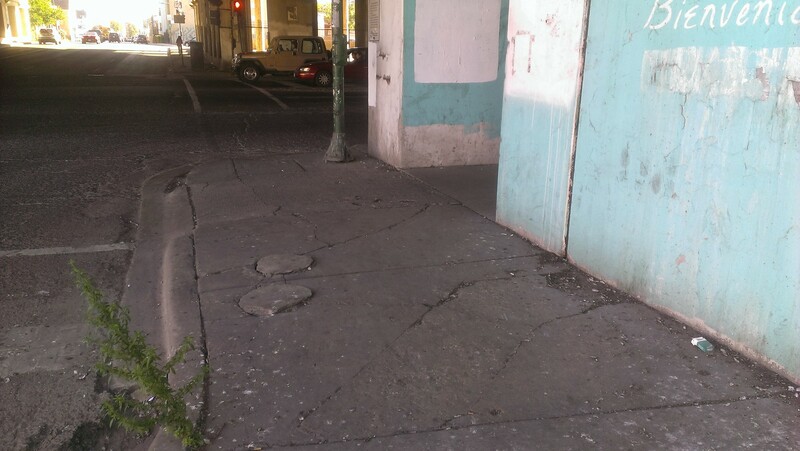 However, because this type of infrastructure is believed by some parties to have the potential to negatively affect truck traffic in and out of the PMD, an alternative has been proposed. 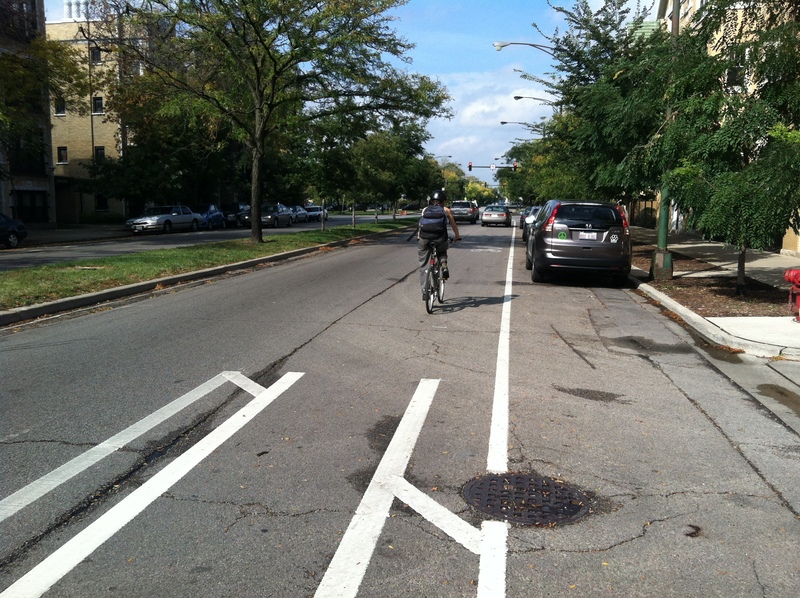 Buffer-protected lanes are similar to traditional bike lanes in that they place bicyclists between parked vehicles and moving vehicles, but additional buffer zones are painted on both sides of the bike lane to help protect cyclists. 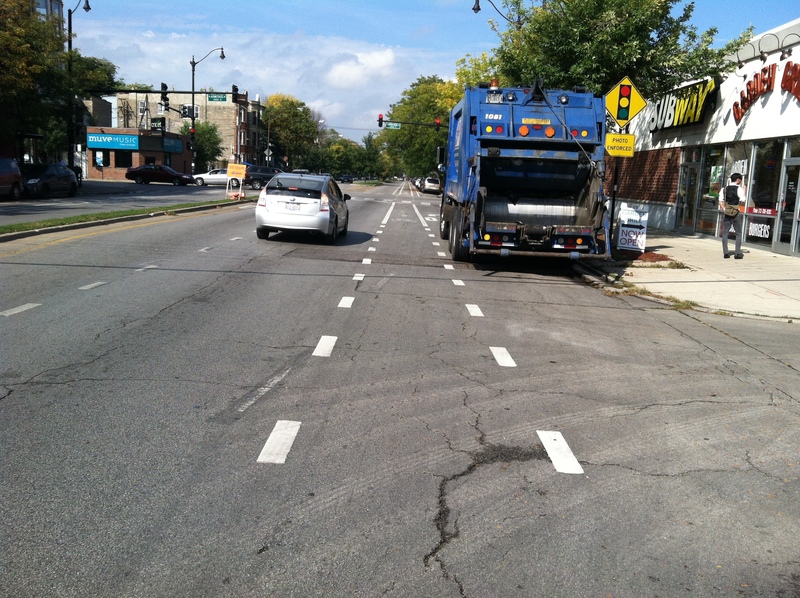 We consider this a generous compromise — one that would improve safety for cyclists and minimally affect the movement of trucks through the PMD. 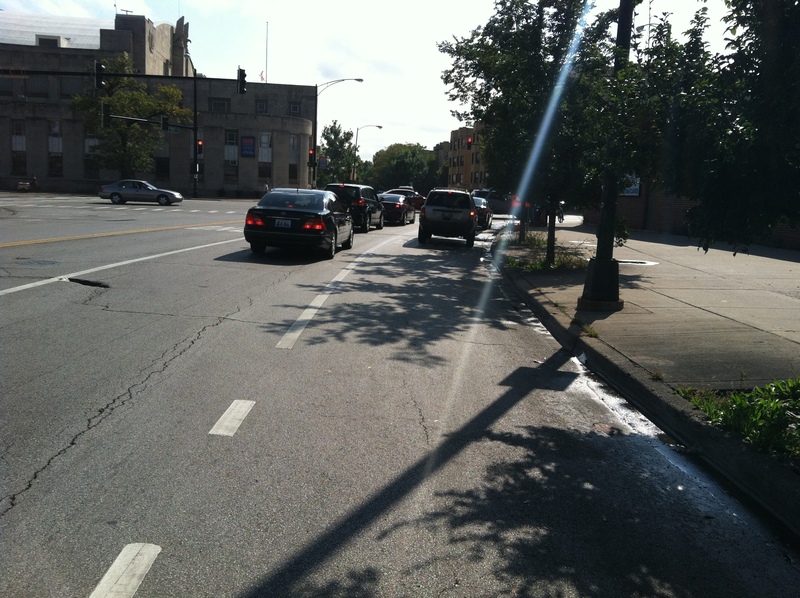 Anything less than buffered-protected bike lanes on Elston Ave would be in obstinate defiance of the city’s Complete Streets guidelines, which ensure “that our streets are safe and designed for all users.” We respectfully ask that you remain mindful of that commitment moving forward. 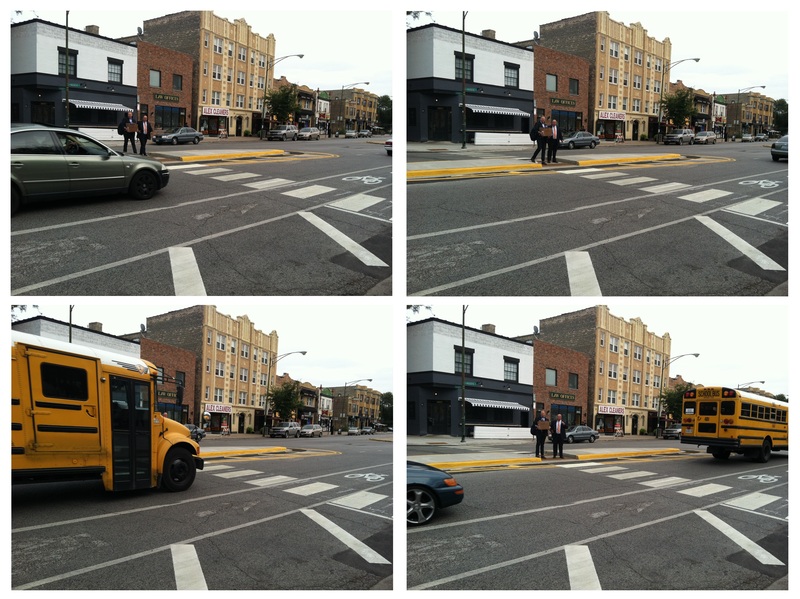 Thank you for your time and consideration.